Core aeration improves your lawn's health by increasing its ability to absorb water and nutrients, thereby decreasing runoff. This enhances its ability to withstand prolonged periods of drought and heat during our Colorado summers. 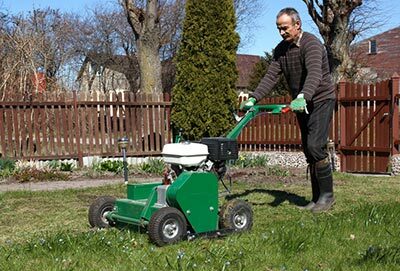 Aeration also aids in your lawn's absorption of applied nutrients, i.e. fertilizers, humates, etc. Aeration is beneficial any time during the growing season, but is typically done in the spring and fall. Call to schedule your aeration in March or April and September or October.